0 L x 0 H x 0 D in. 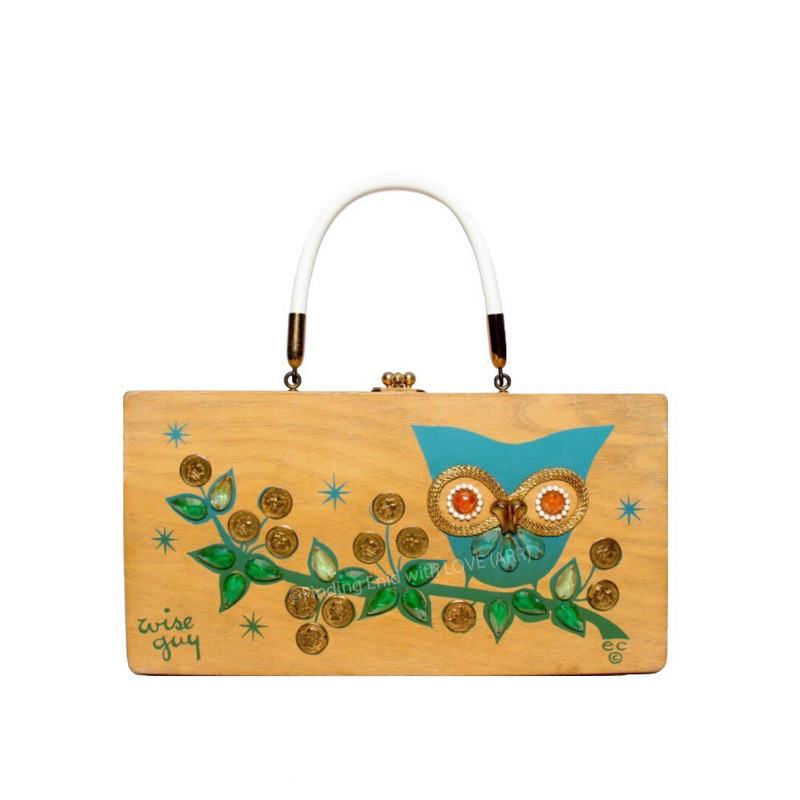 Multi-color screen print of an abstract owl on natural-wood box purse. Owl has faux-jewel eyes and is perched on the branch of a "money tree," one of Collins's most famous and popular themes. Owl is printed in a gradation of jade to vivid turquoise and branch is bright green, with emerald faux-gem leaves and glittering faux-gold coins. Eyes are orange gems surrounded by white pearls, with gold filigree surrounding. Face also features Aquamarine and Topaz jewels. Background highlighted with screen printed aqua and green stars to suggest night. "wise guy" printed in hand-style script in lower left corner of front. One of several variations on this theme. One of several variations Collins designed over the years.